You are here: Home / Blog / Looking for a Web Design Company in Wexford You Can Count On? Wexford has plenty of web design companies that offer web design services. However, we offer businesses in Wexford a compelling alternative. Our team of web design professionals will deliver you the finest web design solutions at competitive rates. What’s more our SEO Consultants will make sure that your new web design ranks well on Google. If you have decided to build a new website or an e-commerce website for your products and services, and need the help of a Web Design Company in Wexford serving Wexford to create a website that can help you Grow your Business Online, then we at New World Digital are here for you. 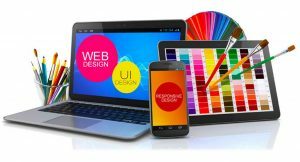 Being one of the most experienced and reputable web design companies in Ireland, we at New World Digital provide custom web design services to businesses of all sizes, brands, and professionals in Wexford, Carlow, Waterford, Kilkenny, Dublin, the rest of Ireland, the UK and even internationally. We are a team of web design experts committed to designing responsive websites that engage your end users, stimulate traffic, and cultivate your brand. We build value and help our Wexford-based clients to achieve each of their unique business goals by connecting sustainable technology, clean design, and exceptional service. A business website should be built with utmost care, keeping in mind every aspect of your business, industry, customers, and budget in mind. Moreover, a website should be well designed, because it represents your business and business ethics to millions of people over the web. Your website is your first opportunity to impress your visitors, encourage them to explore your products and services, and convert them into returning customers. At New World Digital, we pay in-depth attention to every such decisive aspect that can make your website a landmark on the web. We are the best web design Wexford company having the most creative & innovative team of web designers. Look Beautiful: When it comes to creating strikingly beautiful websites, New World Digital, as a website design company, stands second to none in Wexford. We have a team of most creative talent serving Wexford. Moreover, our designs are sleek, modern and clean with an emphasis on easy-to-navigate user interfaces. Responsive: Responsive website design is the call of the decade. As most of your customers are using smartphones, we make sure that the designing solutions we offer are compatible with different screen sizes. Our web designs are responsive to offer a uniform browsing experience to every customer. Client Generating: What’s the point of having a beautiful website, if you are not getting enough leads! We collectively work with our clients to create a website that is not only aesthetically beautiful, but easy to navigate and one that generates leads. Our website design solutions can generate new leads, getting those leads to contact you, and eventually convert them into paying customers. SEO Friendly: Just imagine, you invested thousands of euro in a website, but your customers are not able to find your website. What’s the point of investing so much of your hard-earned money? We design websites for our clients that are SEO friendly and optimised for search engines, so they are easily found by Google and other search engines. Whether you are a small or large business, online presence has become obligatory. A business is incomplete if it does not have a website. If you need a business-driven, professional, customer-friendly, and affordable Web Design Company in Wexford, contact us without delay.